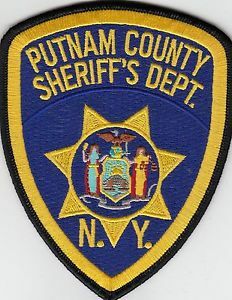 Putnam County Sheriff Donald B. Smith is warning residents to be on guard against identity thieves who are exploiting the call-forwarding feature on victims’ phones and accessing their email accounts to conceal their thefts. The Sheriff’s Office is investigating about a half-dozen complaints from residents in the Brewster and Patterson areas who apparently have fallen victims to the scheme. Sheriff’s investigators say that the thieves apparently accessed the victims’ home telephone and email service account information. Investigators have not yet determined how the thieves accessed the accounts, whether by computer hacking, through mail theft or by some other means. Once the victims’ phone and email accounts were accessed, thieves used mobile telephone applications to remotely put the victim’s home telephones in a call-forwarding mode, diverting calls to the thieves’ mobile phones. The thieves also changed the user names and passwords on the victims’ email accounts. Once the victims’ telephone calls and emails were diverted in that way, the thieves assumed the victims’ identities and ordered replacement credit cards in their names to be sent to several different addresses in Brooklyn. When the card-issuing banks tried to telephone or email their customers to verify the card requests, the thieves intercepted the calls and emails and gave the required verifications. The credit cards that were fraudulently obtained in the scheme were subsequently used by the thieves to make purchases at several stores in the Brooklyn area and an attempted purchase at a store in Manhattan. Several of the victims had reported the credit card thefts but were unaware that problems they were experiencing with their telephone and email services were related. Some victims later found emails regarding changes to their credit cards and password changes in their email trash folders, indicating that the thieves had diverted the warning messages to the trash. Sheriff Smith is urging residents to be wary of the scheme. Residents should check their home telephone service regularly to ensure that they are receiving calls. Residents should also check their emails regularly and check the trash bin for warning messages from credit card companies. 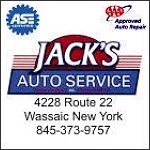 Persons who suspect that they may have been victimized in this scheme should call the Sheriff’s Office at 845-225-4300 or call their local police department.